Milwaukee, Wisconsin is battling a high infant mortality rate, with Sudden Infant Death Syndrome (SIDS) being the second leading cause. 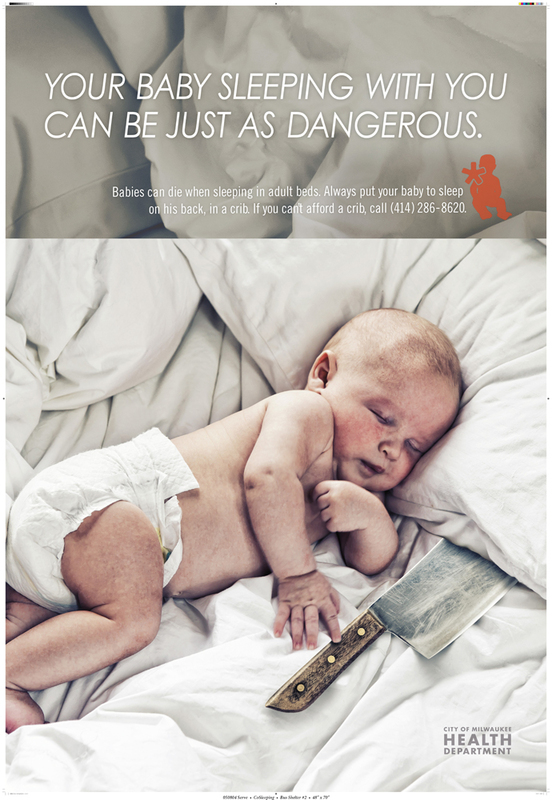 Provocative campaign ads from the city's health department are shocking to most, while it raises an important issue. 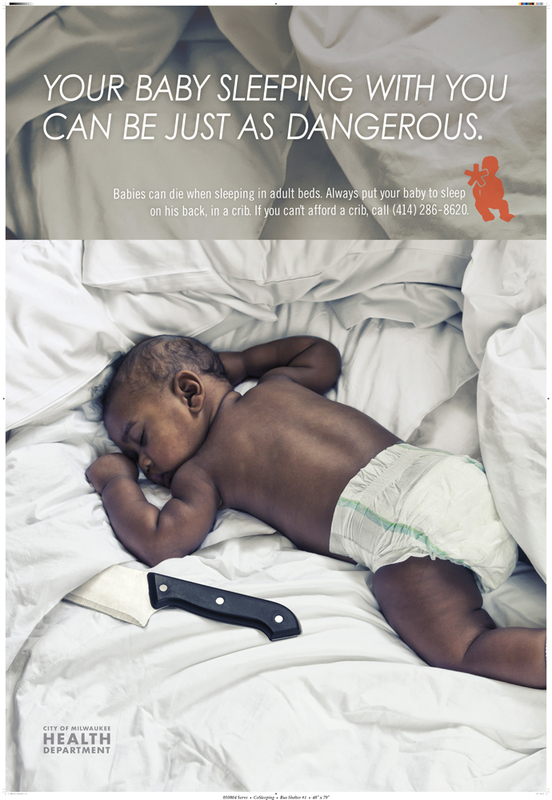 As reported in the Milwaukee Journal Sentinel, the two posters displays SIDS is one form of unsafe sleep - sleeping with parents. The city's goal is to reduce the infant mortality rate. The rate for 2009 is 10.4 deaths for every 1,000 live births. To add context, the rate is 14.1 for blacks and 5.4 for whites, according to the Journal Sentinel. Many parents like having their babies sleep beside them, as it is a way of bonding. Is the ad shocking to you? Do you know people that would agree with this ad? We know shocking ads can move us to act and think in ways we haven't before. This is definitely effective.